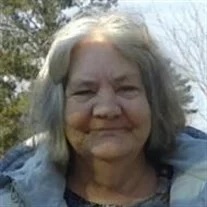 Rosa Lee Smith Stanhope, 64, of Chickamauga, passed away on Friday, March 15, 2019. She was born to the late Clevo and Frances Bonine Smith in Oak Grove, Al., lived most of her life in the Chickamauga area and was of the Christian faith. Rosie is survived by her loving daughter, Kimberly (Brad) Tucker; sisters, Debbie Dalton, Wanda Sims and Patricia Underwood; brothers, Randy Smith and Billy Smith; grandchildren, Kanye, Marques and Ray; and several nieces and nephews. A graveside service will be held at 2 p.m. on Monday, March 18 in Kemmer Cemetery, Al., with Pastor Dennis Chambers officiating. The family will receive friends from 11 a.m. until leaving for the Cemetery on Monday. Arrangements by Wilson Funeral Home-J. Avery Bryan Chapel.